Sonam Kapoor and Rajkummar Rao are busy promoting their upcoming film Ek Ladki Ko Dekha Toh Aisa Laga. The actors were snapped promoting their film at an event in Mumbai on January 20, 2019. Sonam as usual looked trendy in a colourful outfit with a matching jacket and a black bag. 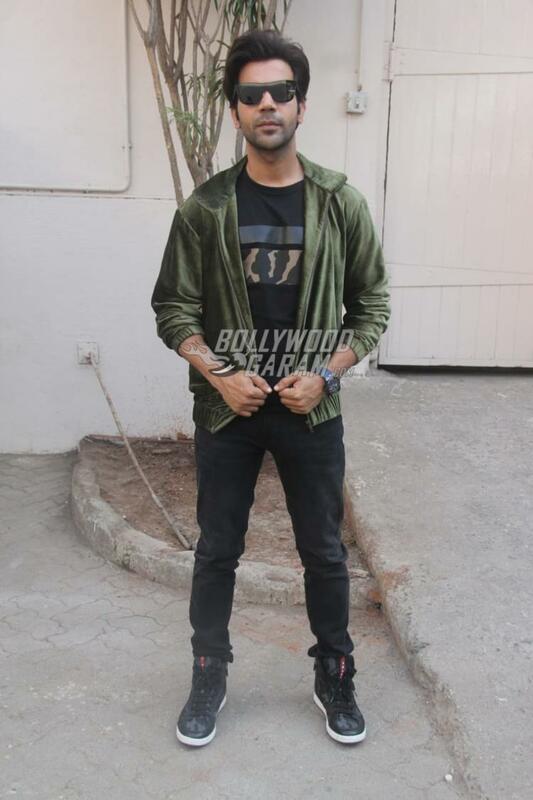 Co-star Rajkummar looked trendy in a black t-shirt, black denims and a green jacket with black glares. The actors were all smiles and poses for the paparazzi. The upcoming romantic comedy flick also stars Juhi Chawla, Anil Kapoor, Akshay Oberoi and Regina Cassandra and is helmed by Shelly Chopra Dhar. The film is produced by Vidhu Vinod Chopra and this will be the first time Anil Kapoor will be sharing the screen space with her daughter Sonam Kapoor. Sonam will be playing the role of Sweety, who is a lesbian and has to convince her family and her father Balbir played by Anil Kapoor who has blind faith in his daughter.